Volunteers needed at Queen City Hospice. Contact: Michael Noyola-Izquirerdo at 513-817-7020. Substitute Teacher at a variety of Public School Districts in Hamilton County, Ohio. Contact; Matt Wendein at 513-405-4264. 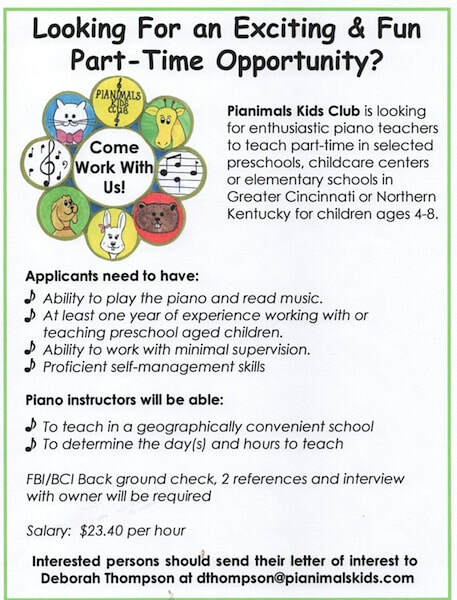 ​Cincinnati Hebrew School is looking for a full time Academic Coach. Contact Jennie Leininger at 513-351-7777.